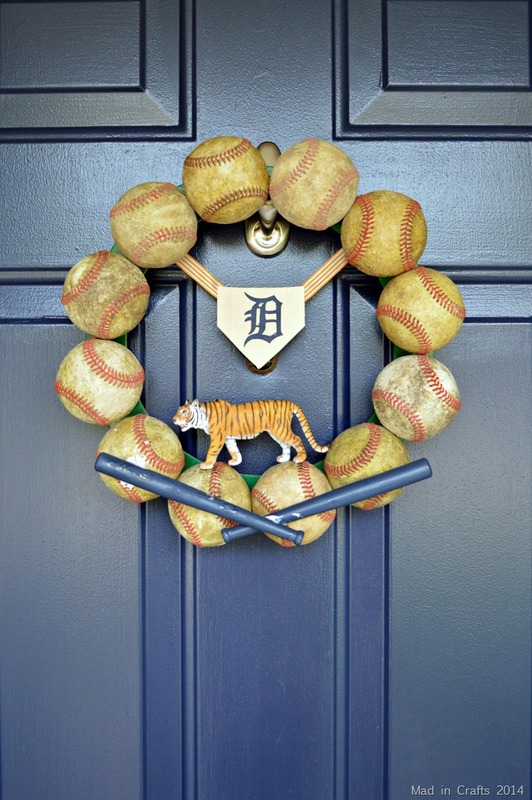 If you haven’t already noticed, I am a bit of a Detroit Tigers fan. This means that I have plenty of Tigers tees to wear during the season. What I didn’t have were any baseball shoes. 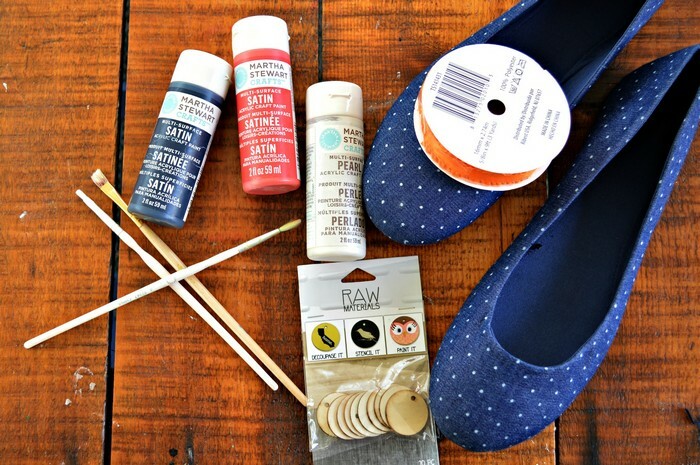 I found a pair of denim and polka dot flats at the store, and knew they would be perfect for a quick refashion. 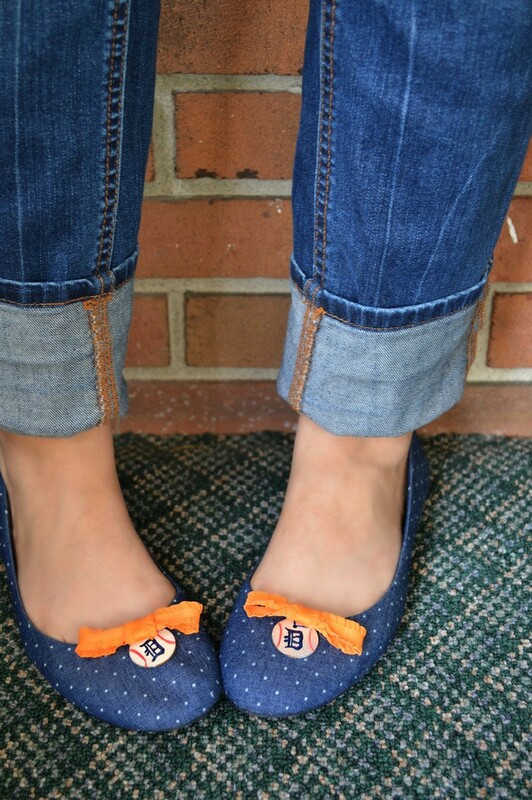 Check out how easy it is to make your own pair of embellished baseball flats. I found all of the supplies for my shoes at our local Walmart, but if you already have a pair of shoes on hand that will work, definitely use those. I will also create a list of supplies at the end of this list, if you would rather buy online. I used red and white craft paint to make two wooden tags to look like baseballs. The raw wood is very porous, so the paint dries very quickly. Then I used navy paint to create the Tiger’s Old English D logo. 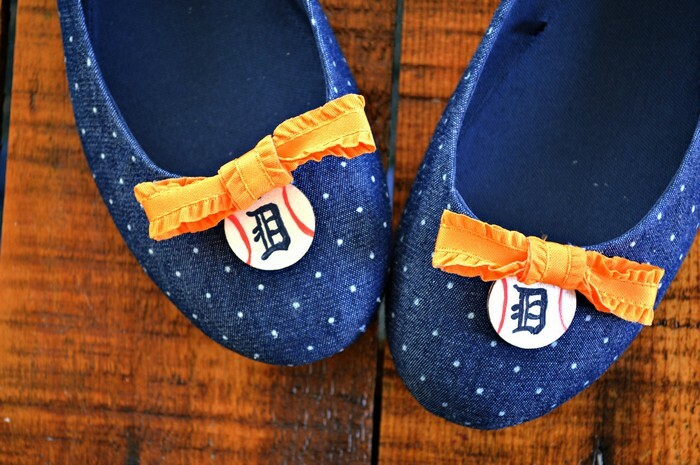 You can, of course, decorate these to match your favorite team… but your favorite team really should be the Detroit Tigers. 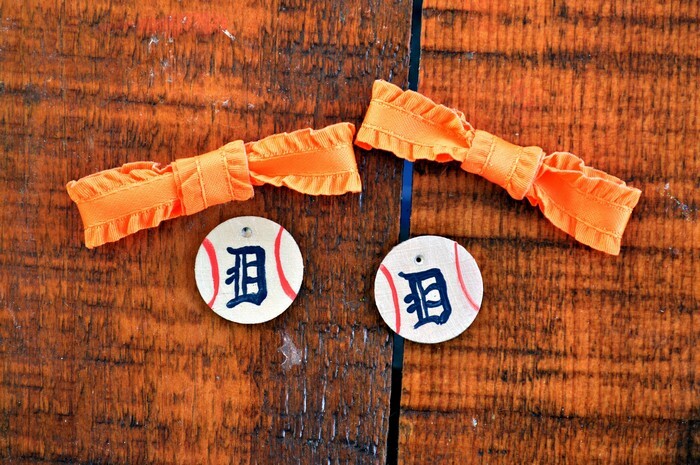 To make the orange bows, I cut two 4″ pieces of ribbon and used hot glue to make them into loops. Then I cut two 2″ pieces of ribbon, which I wrapped around the center of each loop to make a bow. I secured the center piece with hot glue as well. 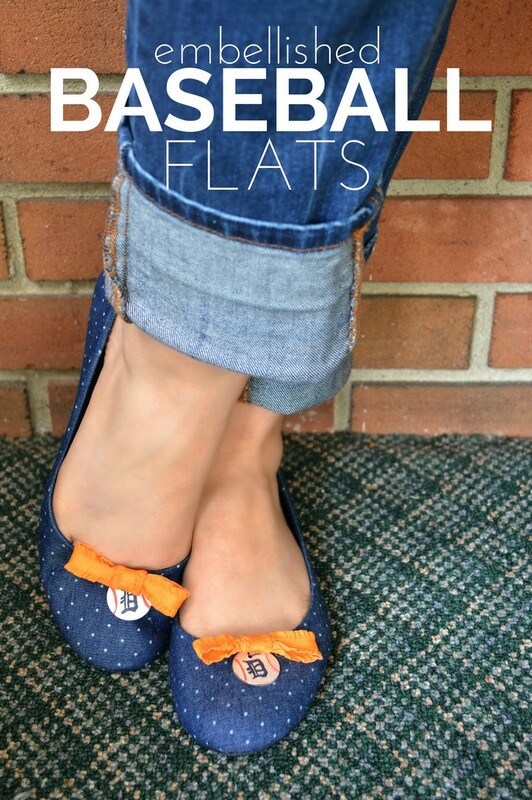 I used a needle and thread to attach my embellishments to my flats. If you aren’t into sewing (or if you are decorating a pair of flip flops), hot glue would work just as well. You can also glue the embellishments to an old pair of clip-on earrings, if you want to be able to add and remove the decorations whenever you feel like it. In less than 30 minutes, I had an ADORABLE new pair of flats to wear this summer. 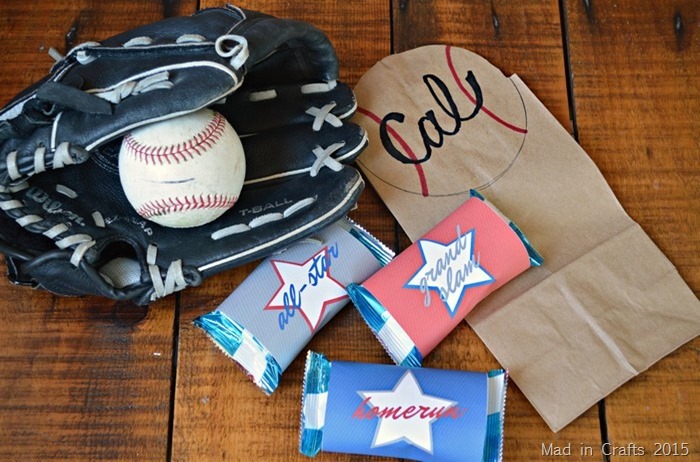 I have a feeling these are going to be the envy of many other Little League moms this season. That’s so cute! And people won’t even be able to notice that the D is drawn on there when they’re standing.